What Are Special Damages In Personal Injury? Personal injury special damages are a form of financial loss associated with an injury that was not your fault. The aim of all compensation is to put you back into the financial position you were in before you had the accident or injury that was not your fault. If you have had an accident or suffered an injury that was not your fault, it is worthwhile keeping hold of receipts that will help prove the special damages aspect of your claim. These may include travel receipts for money spent on getting to medical appointments or medical expenses you have paid for e.g. walking aides and/or physiotherapy. Sometimes, incidental special damages are granted in cases where damage has occurred as an indirect result of your accident e.g. if you have had a car accident and your car needed repair after. In some cases, contributory negligence is attributed to a claimant if they are found to be partly responsible for an accident. For example, if you have been involved in a car accident that was not your fault and you were not wearing a seatbelt. In these cases, a percentage liability will be given which can be up to 33%. If you would like to know more about claiming for both special damages and general damages in your personal injury claim then please get in touch with First Personal Injury lawyers. 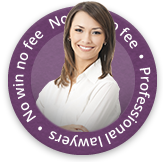 We are no win, no fee solicitors who work with clients on various types of injury claims. If you have been involved in an accident that was not your fault then call us on our national accident helpline on 0800 808 9740.